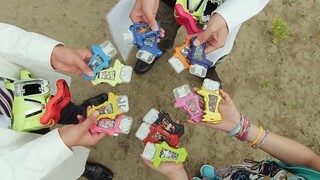 Well, once again, we come to the end of another Rider series and as usual, a wrap up post comes with it! So, let’s get to this! 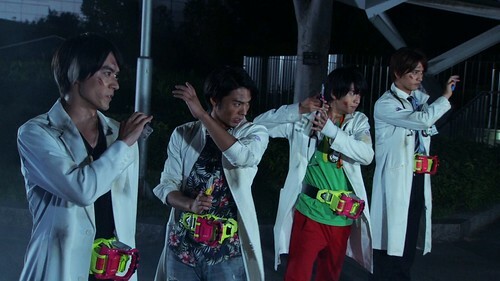 Ex-Aid was a lot of fun and really defied my expectations. I said on Twitter that we shouldn’t judge the show by the first look at the Rider we got ahead of the show airing, and I definitely stand by that. 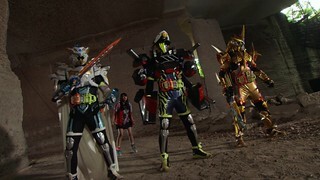 Ex-Aid looks ridiculous, but it’s a show that marries some surprising themes and manages to make it work. Definitely among my top Rider shows. Plus, the show has Neo Dan Kuroto, and if you’ve seen my Twitter for the last few days, you’ve seen why that’s a high point. Of course, none of this would have been possible without the subs from both Excite and RTA. Huge thanks to everyone involved as always! 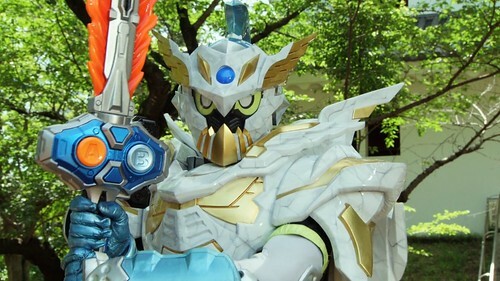 We’ll still be returning to Ex-Aid in the future, at least with the 3rd Snipe episode, and hopefully the 4th at some point. The same goes for any further releases that end up with dual subs from Excite and RTA. The True Ending film comes out in a couple weeks and although I’ll be on vacation at AGDQ, I have plans in place to get the disc ripped and uploaded, so there should be no delays for that. The V-Cinema trilogy is also something I’ve preordered, although I’m getting the 3-in-1 boxset, so it will arrive in early April, 2 weeks after the release of the first of the three films. 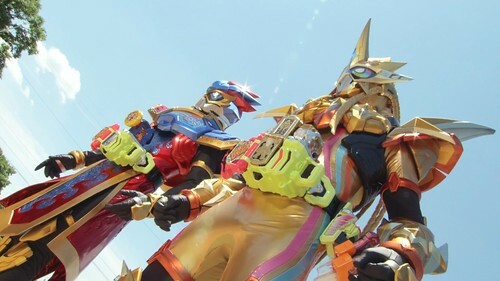 Lastly, I’ll most certainly be picking up Heisei Generations Final, so there will be plenty of Ex-Aid in the future, whether we’re just providing the sources or doing our own encodes too. Now, the bad news: The Ex-Aid BDs did not include any design gallery images. I know, I’m disappointed too. Maybe they’ll include them on the movie or V-Cinema discs? They’ve done supplemental images before, but who knows. 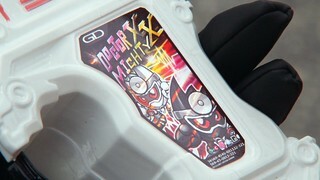 In any case, there won’t be a design gallery for Ex-Aid unless they include them later. The usual batch will be on the way shortly, probably around the middle of next week. There will be a handful of v2 files in it to fix some errors I missed before. There may be a couple minor extras included, and the batch will not include the Snipe episodes since we don’t have a complete set yet. The Brave episode will probably be included though. Also, I’ll be catching up the checksums databases in the next few days, probably when I release the batch to account for the v2s. 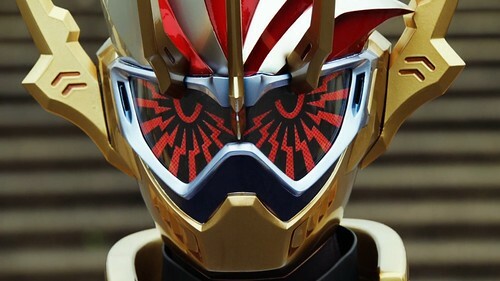 Lastly, while I announced this one Twitter a while back when it went up for preorder, we’ll be continuing on with Kamen Rider Build, starting in March. The 2nd Season of Amazons is also scheduled for February, so we’ll be doing that when it comes out too. 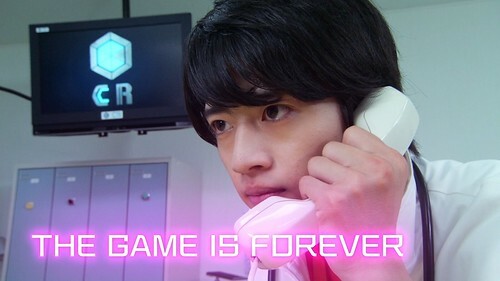 Regarding Decade, which I get a fair number of questions about, I don’t have any news on that project yet and as soon as I do, it’ll be posted on Twitter and Discord, so sit tight on that front. Any other Rider projects (Wizard dub, Black RX) are on the back burner while I catch up on some Sentai stuff. 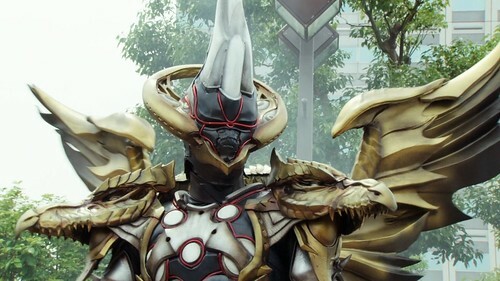 The Gamedeus virus begins spreading through the streets as Masamune becomes Gamedeus Cronus and appears before the other Riders! 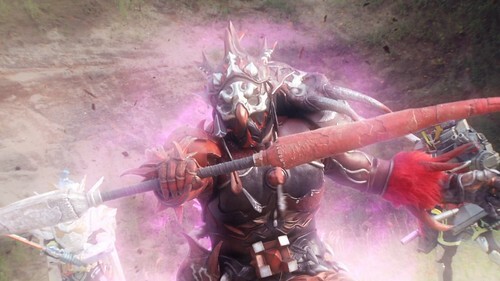 Nico is the one who is qualified to challenge the final boss of Kamen Rider Chronicle as a Ride Player, but pulling her into Cronus’ game world, he intends to give Nico a game over in order to reset things once more! 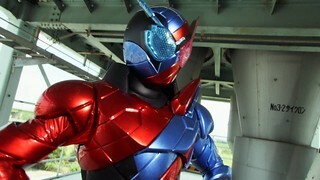 The final boss of Kamen Rider Chronicle, Gamedeus, is finally born! However, at the moment of Gamedeus’ revival, massive amounts of the game illness spreads and the number of infected patients is increasing! While the doctors attend to the patients, Ex-Aid and Para-DX team up to fight Gamedeus! Kamen Rider Chronicle has been reset to the moment before Emu received the Hyper Muteki Gashat thanks to Masamune’s special ability! 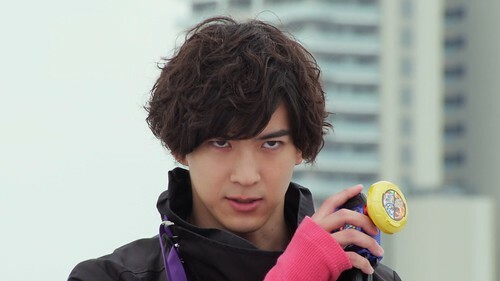 Finally, with Parad having already been defeated, Graphite is the only game character left in order to clear Kamen Rider Chronicle! Brave and Snipe both challenge Graphite with a burning fighting spirit. Episode 40: The Fateful Reboot! 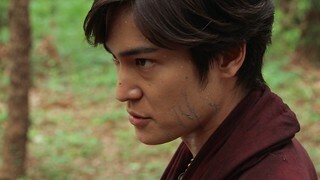 After Graphite’s ruthless attack, the injured Taiga has been rushed to the hospital immediately, but there is a high possibility that his heart has been damaged. Moreover, it seems that it would take an expert-level of surgical expertise in order to save his life. 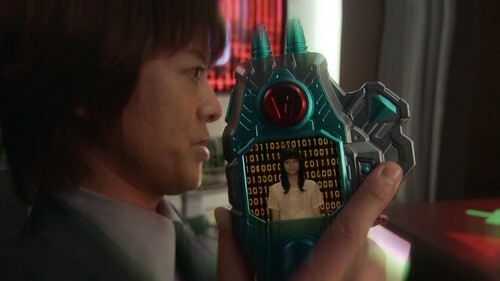 After returning to Masamune, Hiiro’s father and Asuna make an urgent phone call. 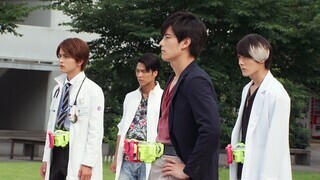 The director asks Hiiro to perform Taiga’s surgical operation. 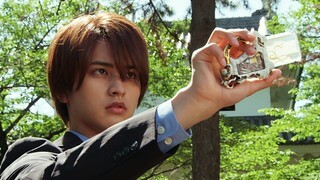 Just what decision will Hiiro come to in the end? Episode 37: White Knight’s Resolve!